This lamppost with engraved pineapple and welcome message in Piney River stands an impressive 9 feet tall. 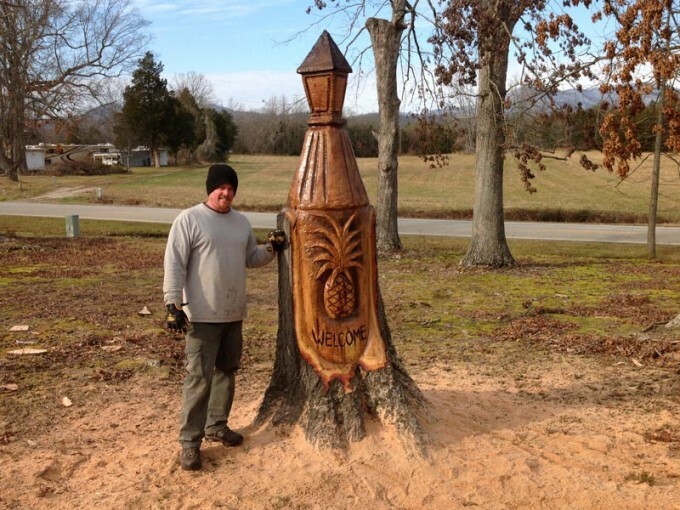 With the help of the client, neighbors and friends, Mark topped the tree which stood in the clients front yard. Mark then carved the stump over the course of a few days.